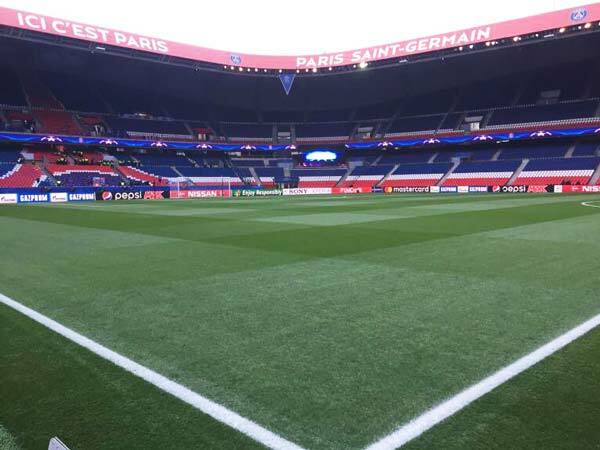 Jonathan Calderwood is head groundsman at Paris Saint-Germain, including their training centre at Camp des Loges and the Parc des Princes stadium. A former double-winner of the Premier League Groundsman of the Year Award, Jonathan was recruited from Aston Villa FC in 2013, and is widely regarded as one of the leading groundsmen worldwide. "I started trialling Pitchmark products early in 2016 after a recommendation from PitchWorks, one of Pitchmark’s dealers who I have a close relationship with. Whilst trialling their products EURO 2016 came around, and UEFA supplied us with an Eco Club marker and Ecoline+ paint for use at the Parc des Princes for tournament games. The paint and markers performed very well throughout the competition, giving incredible results in a tricky schedule. 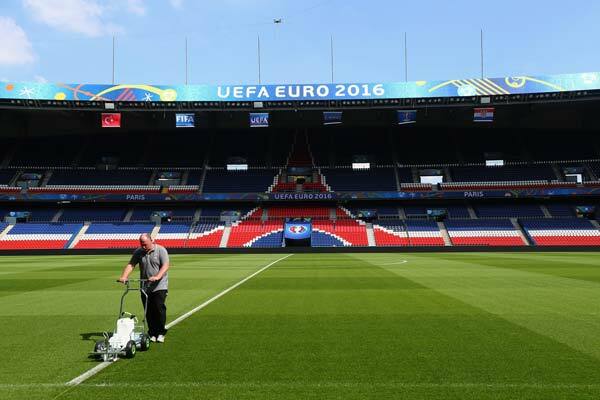 Jonathan Calderwood marking the Parc des Princes pitch prior to a EURO 2016 game. I was so impressed that we now use Pitchmark products at both the Parc des Princes and the Camp des Loges training facility, and I couldn’t be happier. 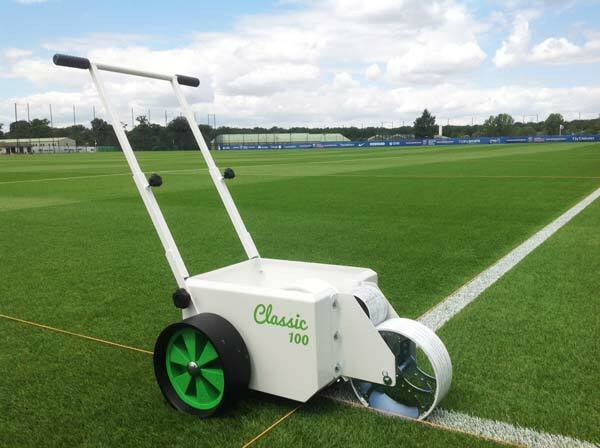 I find the Direct and Ecoline+ ready-to-use paints extremely bright, durable and very quick drying, so I never have to worry about the weather, irrigation or paint tracking across the pitch. We actually save time marking out now too and I don’t have to think about it, which allows me to focus my attention elsewhere. One of PSG's Classic markers on a pitch at the Camp des Loges training facility. Now that I’m able to achieve better results whilst using less paint than before, I am even starting to see new grass growth on the line – something which we struggled with before. The Classic and Eco Club markers are clearly very well made, and I can trust that they’ll work when I need them without worrying. The Parc des Princes pitch looking spectacular ahead of a UEFA Champions League game. I’d have no problem recommending Pitchmark to other turf professionals. Their knowledge is second to none and the service and assistance I receive is outstanding."